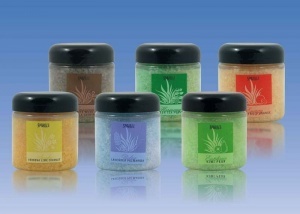 Scentsations Spa fragrances add a new element to enhance your spa experience. 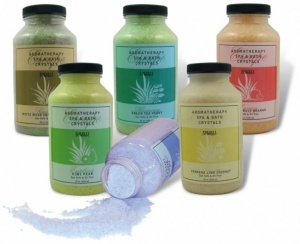 Just a few drops of these special formulations will render your spa or hot tub refreshing and fragrant. As they are specially formulated for use in the spa they will not affect water treatment chemicals or harm spa surfaces or equipment. 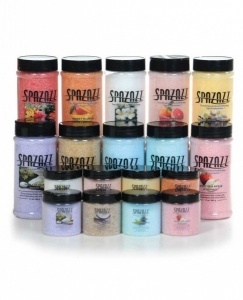 Spazazz Aromatherapy Crystals are designed to bring that spa experience home. 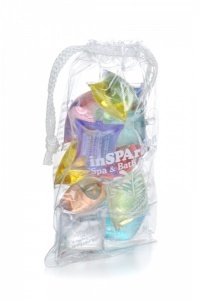 The Wellness gift pack is idea for a spa party or as a present.